Youth participation in local governing bodies must be sustained. 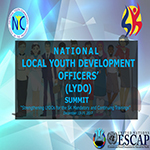 In the pursuit of the advocacy to strategize and enhance the participation of the youth in local development, the National Youth Commission (NYC) convenes local youth development officers (LYDO) from various regions in the country for the LYDO National Summit from December 13-15, 2017 at Selah Hotel, Pasay City. “This summit will concretize and harmonize strategic plans, local policies, programs and advocacies with the localization of the Philippine Youth Development Plan (PYDP) 2017-2022,” Asec James Caesar Ventura, NYC Commissioner in charge of Youth Participation and Governance Committee. The NYC is now focused on the nine areas of youth participation that include education, employment, entrepreneurship, health, environment, social inclusion, security and protection and global mobility. Likewise, there will be discussions on the Sangguniang Kabataan (SK) mandatory and continuing trainings. The LYDOs are tasked mainly to take charge of conducting these mandatory trainings for the SK as prescribed in the provisions of RA 10742 or the SK Reform Act of 2015. 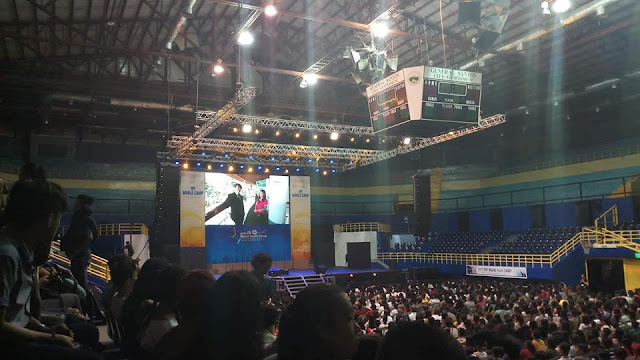 In addition, the conduct of the LYDO National Summit is one of the proposed outcomes adopted during the simultaneous SK mandatory trainings held in various parts of the country. “The youth population has tremendously increased and it comprises 28.9% of the projected total Philippines’ population this year. Hence, the youth must be capacitated to equip them with the necessary skills as future leaders that is why the LYDOs play a critical role in moulding them,” Ventura pointed out. One of the highlights of the National LYDO Summit is the launch of the Youth Development Policy Toolbox that is made possible through a partnership between NYC and United Nations Economic and Social Commission for Asia and the Pacific (UNESCAP). “The youth development toolbox is an online capability building platform that the youth organizations may access to get firsthand information and knowledge about trends in youth development,” Ventura added.